incision and insert a camera into the joint which will display enlarged pictures of your elbow on a television screen. The Phoenix orthopedic surgeon can use this image to maneuver miniature versions of surgical tools inside the incision to address damage in this area as necessary. 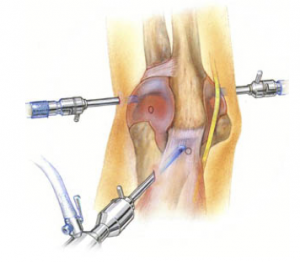 This procedure is considered ideal for many patients because it is minimally invasive, resulting in less pain and stiffness and a shorter recovery period after the arthroscopy is completed. This technique has become a popular choice for a number of conditions due to the convenient nature of the procedure. Your orthopedic doctor will often recommend an arthroscopy if you have pain in your elbow that has not responded to nonsurgical treatment options such as anti-inflammatory medication, rest, injections or physical therapy. 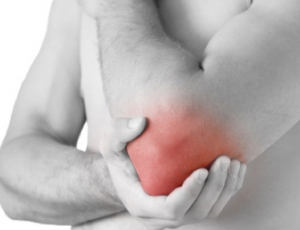 An elbow arthroscopy can be used to determine if a disease or injury is causing stiffness, inflammation, swelling or pain around the joint so you can get appropriate treatment for your symptoms. If it is believed that wear and tear from an injury, age related stress or overuse is causing your symptoms, an arthroscopy can be used to repair the cartilage around the elbow or remove bone or cartilage pieces that are limiting your range of motion to reduce these symptoms. x-ray to ensure that you can undergo surgery safely. If you have any concerns about your ability to safely make your way through the procedure you should talk to your doctor beforehand. Also inform your elbow surgeon of any supplements or medications that you are taking. Some, particular items such as blood thinners, will need to be eliminated from your routine before you can undergo surgery. Your doctor will tell you when to stop taking your medication prior to surgery and when it will be safe to resume your regular schedule. 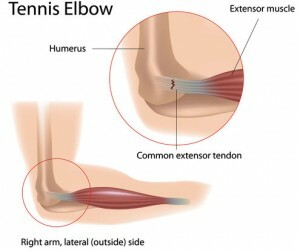 Those that are generally in good health can have an elbow arthroscopy performed as an outpatient procedure. The procedure has some low risks which will be discussed by the orthopedic surgeon prior.